In shock articles last Thursday and Friday, the Age reported how RACS is being accused of anti-competitive “cartel” behaviour against overseas surgeons applying to live and practice their craft in Australia. Watch the video. 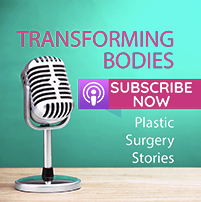 There are at least two overseas plastic, reconstructive and ENT surgeons speaking out about RACS improper conduct, with suggestions that many more surgeons are on the receiving end of similar behavior. It is said some are too afraid to speak out due to the fear of being ostracised by the Australian surgical community and jeopardising their chances of being accepted. Whilst RACS state the maintenance of surgical standards is the reason to ensure Australia has one of the best reputations in the world when it comes to surgical practice, there appears to be concerns in regard to who RACS are turning away and not allowing to practice plastic and reconstructive surgery in Australia. In our opinion, it would make sense to encourage highly qualified and experienced surgeons to practice in Australia, not make it near impossible for them to do so. Of course, we agree there should be strict criteria that must be met, objectively, in order for these surgeons to receive the appropriate permissions to practice in Australia, but it feels as though there is more going on here than meets the eye. We are concerned that little has changed since the House of Representatives published the ‘Lost in the Labyrinth’ report in 2012 regarding overseas trained doctors. If you speak to his patients, Mr Patrick Tansley is an “amazing” surgeon. “Extremely professional”, “massively talented”, “a warm and caring surgeon who changed my life” are all quotes from those who have had him as their surgeon. If you do a background check and look at his qualifications, experience and reputation in the UK, he is highly regarded and has an impeccable history. The UK, along with Australia, is also known around the world for training highly skilled and world class surgeons so it’s not as though he’s coming from a “dodgy” country where the standards are lower than in Australia. In the UK, Mr Tansley is a Fellow of the Royal College of Surgeons of England who was awarded a Hunterian Professorship. 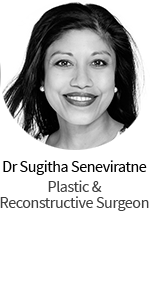 He is a specialist plastic and reconstructive surgeon with extensive training in microsurgery. Graduating from the University of Cambridge, he trained in and around London at some of the world’s founding institutions of plastic and reconstructive surgery. 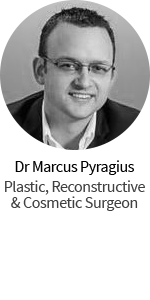 So, as one of the surgeons featured in the Age articles, we were really confused as to why he’s not being accepted, indeed welcomed with open arms, into the Australian community of plastic surgeons. 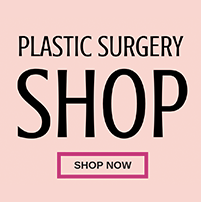 It makes you wonder if there is some truth to the “cartel” reports – is there actually some fear from a select few Australian plastic surgeons that they will lose business if they allow overseas surgeons into Australia who might “take their work”. Mr Tansley has said he was told by a plastic surgeon at the very beginning that “If you want to stay, we will make it hard for you”. Were these few surgeons so worried about his potential as competition that they decided from the outset not to let him in, ever, regardless of his obvious ability to meet Australian standards? We say “few surgeons” because all it takes in these situations is a few “bad apples” to tarnish the reputation of the many. 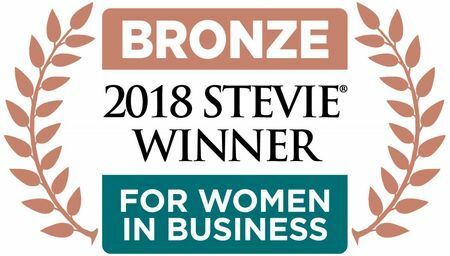 We research hundreds of plastic surgeons here at the Hub, and one of the reasons we love this industry so much is because of how proud we are to have such talented, genuinely lovely and excellent plastic surgeons in Australia. We have some of the best in the world and we believe most of them would be horrified at the thought of a few of their colleagues displaying signs of exclusive behavior and patch-protectionism. Standards are important. But so is integrity and staying at the forefront of the world stage when it comes to plastic and reconstructive surgery. That can’t be done if the doors are closed to capable, expert colleagues just because they come from another country. Sure, expatriates need to expect to meet our standards, but we sincerely hope they would be encouraged and allowed to do so fairly and objectively. At the moment, barely any are getting through at all. There is evidence of bias as to who is allowed in and who’s not. There have even been suggestions that they are being rejected based on where they are looking to settle and make a life – if overseas surgeons want to settle in an area considered already “taken” by particular Australian surgeons, then they have no hope?! The current criteria for being accepted includes examiners having a roundtable discussion of the applicant and whether or not he should be allowed to pass or fail. It’s not just about exam marks. If Australia wishes to deliver the best possible care to patients, then it must aspire to become a true international meritocracy, not a closed shop that looks inwards. We have Mr Patrick Tansley listed on our website as he has a wealth of satisfied patients who can’t say enough positive things about him. We’ve also spoken to other plastic surgeons who have worked with Mr Tansley and indeed they all support him. Not only this, his qualifications, experience and skill place him at the top of his game. We’ll be keeping a close eye on this and sharing info as it comes to hand. Watch this space! I am a former patient of Mr Tansley. 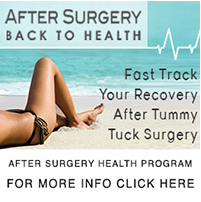 He did a revision breast augmentation on me last year as a result of a ruptured implant. I can not speak highly enough of his skill as a surgeon. My biggest fear for a revision was that the results would not be as great as my previous results were. I was worried the shape would change or they would sag or just wouldn’t look as amazing. But Patrick absolutely nailed it. My breasts are not only perfect according to the dimensions of the ‘prefect breast’ but they are even better than they were before! My recovery was painless & trouble free. I have also been told by several other augmentation patients of other surgeons, that my scars are some of the best revisional scars they had ever seen. Mr Tansley is an exceptionally talented surgeon, he is very friendly, caring & professional and thoroughly discusses everything with you in your consultation & afterwards. He never minded me coming back several times with more questions & made sure I was happy with my decision before going ahead. I am a strong supporter of Mr Tansley & would recommend him to anyone who is looking for an exceptional surgeon.